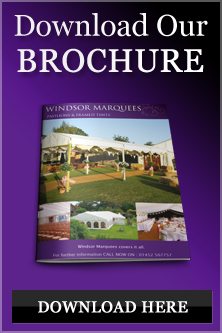 Windsor Marquees offers the highest standards in marquee hire in the popular city of Cardiff, priding ourselves on caring service, with a deep level of personal customer care and attention to detail. We aim to make your event a perfect and successful event. We specialise in marquees and accessories hiring and our dedicated staff are here to ensure you can relax and enjoy your day, whatever the occasion within Cardiff and nearby towns and villages. Cardiff is one of the main cities in Wales, with Cardiff not only being the Welsh capital city, but also one of the most vibrant and busy places you will ever see, with thousands of shoppers, business people and visitors alike, heading towards the area every day. With exceptional transport links and regeneration areas, Cardiff has a lot going for it, with many of the big brands now frequenting the high street and many big name businesses choosing to have a premises there. With a Football Club, University, and close to 20 million visitors a year, you can quickly see why Cardiff is one of the most popular areas in the country, attracting more and more people every year and also staging big sporting and music events at the Millennium Stadium. But, it is not just the new that makes Cardiff amazing, it also has a massive degree of history, and once you arrive in the City, one of the first things you will see is the Castle, which is now one of the biggest attractions, just a few minutes walk from the Train Station and the shops.